Tire rotation is a substantial part of regular vehicular maintenance. Getting your tires rotated on a regular basis helps keep your car running at optimal performance, and increases the life of your tire set. An ideal time to have your tires rotated, is before the winter season begins. Many vehicle owners wonder if it is necessary to rotate winter tires the same way you would rotate your regular tires. The answer to this question is, yes, winter tires should be treated in the same fashion as normal tires. Winter tires do look different, with thicker treads and varying rubber compounds. It may seem like winter tires would not wear the same way summer tires would. But, if not rotated on a regular basis, winter tires will wear unevenly, just like any other tire. Whether you have summer tires, winter tires, or all-season tires, the same rules of rotation apply. The general consensus is that tires should be rotated every 3000 – 5000 kms, or every 6 months. It is a good idea to consult your owner’s manual to see what is recommended by the manufacturer. 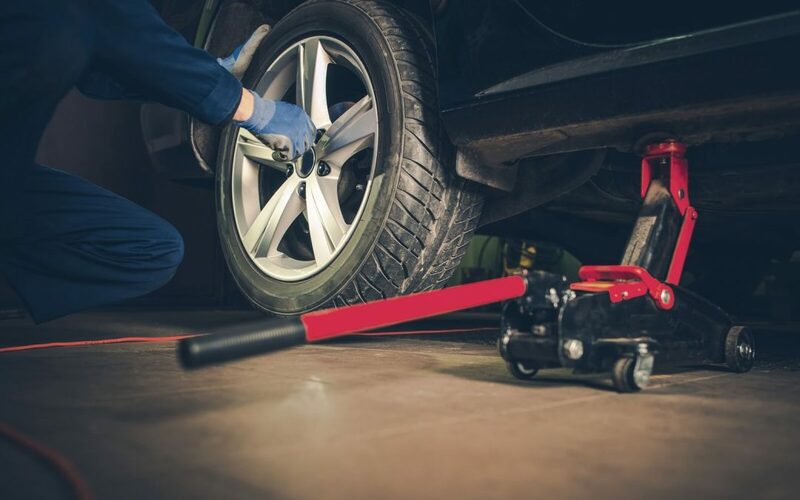 If you are changing your tires over to a more robust set for the winter season, it is a perfect opportunity to have your tires rotated as well. Consistent tire rotation not only promotes even wear, but also makes your vehicle safer to drive and improves fuel economy. If you are looking for a dependable and experienced automotive service in the Brampton area, Valvoline Express Care can handle all your automotive maintenance needs. With over 20 years of exceptional service in the industry, the team of automotive specialists at Valvoline will take of your requests with efficiency and competence. The experts at Valvoline Express Care Brampton specialize in tire rotation, to protect your tires and enhance your driving experience. Tire rotation is a service that involves changing the tires on your vehicle on a consistent basis, to promote even wear and longevity. Even wear gives you a boost in gas mileage, and helps ensure your car runs and stops smoothly. So, by rotating your tires regularly you will save money, not only in gas, but also by avoiding having to buy a new set of tires prematurely. The automotive technicians at Valvoline can change your seasonal tires over before the winter, and make sure they are evenly rotated at the same time. Service agents can also check your tire pressure to make sure each tire is inflated to an identical volume. If your tires are all inflated to different levels of air pressure, it can make your car unsafe to drive. We have established that it is important to rotate tires regularly for even wear. But why do tires wear unevenly if they are not rotated? Tires wear unevenly, because in most vehicles, the front tires are exposed to much more stress and pressure than the back tires. They handle more weight because the engine is located in the front of the majority of cars. The front tires also more deterioration when it comes to cornering. The front tires do all the work when rolling into a turn, the back wheels just basically follow in place without a lot of stress to endure. If your vehicle is rear-wheel drive, your tires will wear more evenly, but still should be rotated to make the wear even on the outside of the tires, as well as the inside. Preventative maintenance is a good practice to get into to preserve the value of your vehicle. Tire rotation is an excellent example of preventative maintenance. By pre-emptively having your tire rotated, before there is a problem, you are taking steps to avoid large mechanic bills down the road. People that have regular preventative maintenance performed on their automobiles, will spend less time and money at the mechanic, and will enjoy a higher resale value when it comes time to sell. For especially efficient maintenance planning, you can opt to have your oil changed at the same time your tires are rotated. For regular or seasonal tire rotation, or any other type of automotive maintenance, stop by the Valvoline Express Care Centre in Brampton today!